Redondo Beach, CA, Oct 22, 2018 - (ACN Newswire) - SECFilings.com, a leading financial news and information portal offering free real time public company filing alerts, announces the publication of an article covering what's driving iron-ore prices higher and why investors may want to diversify into development-stage opportunities, like Black Iron Inc. (TSX: BKI) (OTC: BKIRF) (FRANKFURT: BIN). The iron-ore market is dominated by a few multi-billion dollar companies, including Vale SA, BHP Billiton plc, and Rio Tinto plc. With iron-ore prices on the rise, Vale shares have risen nearly 20 percent so far this year. But investors may want to look beyond the majors for the best value - development-stage companies nearing commercialization may have a place in savvy portfolios. China's efforts to reduce excess capacity and improve environmental standards has created a rift in the industry. Vale and Ferrexpo plc are leading producers of high-grade 65% iron-ore, which explains why they've been outperforming BHP Billiton and Rio Tinto. The gap between benchmark and high-grade iron-ore has increased three-fold over the past two years and is poised to continue to rise amid the environmental crackdown. Currently, benchmark 62% iron-ore trades at around $71 per ton and high-grade 65% iron-ore trades closer to $97 per ton, which amounts to a nearly $30 per ton premium. The demand for high-grade iron-ore is poised to continue to rise in the future, which means that companies producing it could benefit from both higher pricing (e.g. stronger margins) and greater volume (e.g. higher revenue) - a compelling dynamic. Investors interested in the iron-ore space should consider high-grade producers, like Vale and Ferrexpo, rather than benchmark grade producers to capitalize on these trends. In particular, Vale recently announced record iron-ore production during the third quarter and plans to cut its net debt in half to $10 billion and increase returns to shareholders over the coming quarters, which could catalyze the stock even further moving forward. Precious metals investors are familiar with diversifying between junior and major producers, but the practice is less common for industrial metals. Investors interested in the iron-ore market should consider this kind of diversification to maximize their potential portfolio returns and limit the risk from any individual stock turning lower. But there are only a handful of attractive opportunities in the space focused on high-grade iron-ore.
Black Iron Inc. (TSX: BKI) (OTC: BKIRF) (FRANKFURT: BIN) is a development-stage opportunity that aims to produce 68% ultra-high-grade iron-ore. Management believes that this level of purity could command a $40 per ton premium over benchmark iron-ore prices, particularly given the rarity of only 4% of global producers being able to achieve this high iron grade. The company's 100%-owned project in Ukraine was initially derailed by the Russian crisis, but is making progress once again. Assuming a conservative $62 per ton long-term price for benchmark iron-ore and iron content premium of $5 per 1% iron, the company projects a 40% percent after-tax levered internal rate of return. At current prices, the company estimates it could achieve a 68% after-tax levered return given the strong pricing for premium iron-ore. These are compelling returns from a potential pure-play on iron-ore's strength. Earlier this month, the company announced that it received a formal proposal from Ukraine's government to lease a plot of land connected to its Shymanivske iron ore body for location of the processing plant, tailings, and waste rock. This marks a significant milestone for the company and demonstrates the Ukrainian government's support for the mine to be constructed in a timely manner starting mid next year. Management has also been recently holding discussions with potential offtake partners including large steel mills and metals traders to provide the right to purchase its product over a period of time in exchange for a meaningful investment to help fund the project's construction and build out - the final piece of commercializing the venture. The iron-ore market is likely to become increasingly bifurcated thanks to China's crackdown on steelmaker emissions. 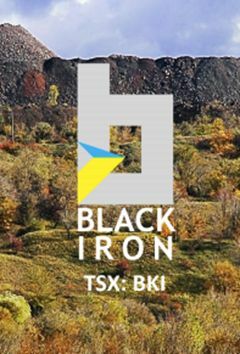 While Vale has been a popular investment, for good reason, investors may want to consider diversifying into development-stage names like Black Iron Inc. (TSX: BKI) (OTC: BKIRF) (FRANKFURT: BIN) as well. The company's project could pay dividends over the long-term as China continues to seek higher-grade iron-ore.
SECFilings.com is not an independent financial investment advisor or broker-dealer. You should always consult with your own independent legal, tax, and/or investment professionals before making any investment decisions. The information provided on http://www.secfilings.com (the 'Site') is either original financial news or paid advertisements drafted by our in-house team or provided by an affiliate. SECFilings.com, a financial news media and marketing firm enters into media buys or service agreements with the companies that are the subject of the articles posted on the Site or other editorials for advertising such companies. We are not an independent news media provider. We make no warranty or representation about the information including its completeness, accuracy, truthfulness or reliability and we disclaim, expressly and implicitly, all warranties of any kind, including whether the Information is complete, accurate, truthful, or reliable. As such, your use of the information is at your own risk. Nor do we undertake any obligation to update the items posted. SECFilings.com received compensation for producing and presenting high quality and sophisticated content on SECFilings.com along with financial and corporate news.